13. On the front of engine, remove six cap screws (22) and lock washers (23) from each front cam bearing (24). 14. Remove two bearings (24) and gasket (25). 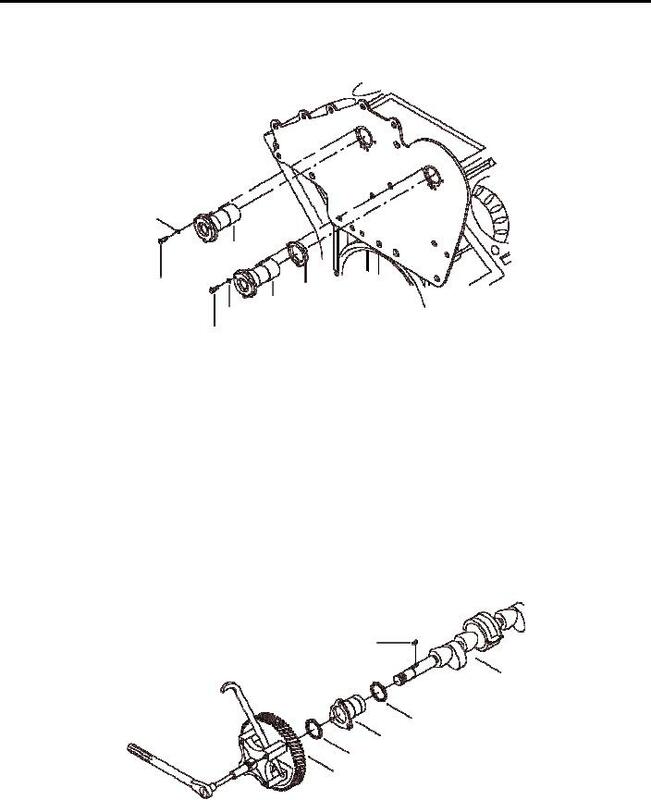 This procedure is typical for both camshafts. 1. Remove nut (9) securing gears (4 and 8) to camshafts (10 and 11). Remove cam gears (4 and 8) using universal puller kit. Remove woodruff key (26) from camshaft (10 and 11). Remove end (rear) bearings (27) and trust washers (28) from camshafts (10 and 11).